My favorite era of rock and soul music is roughly 1965-73- specifically ’67-’73. All of those years are outstanding but I had always thought that 1972, my birth year, was the weakest of those six years. After three weeks or so of living musically in ’72 I’m not so sure. But then again, I’m not sure I could place any of the other years below it either. 1972 has it all though- peak years for soul music, funk as well as in the burgeoning heavy metal and prog rock scenes. 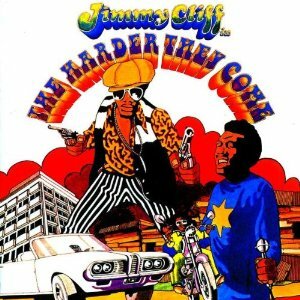 And ’72 was a touchstone for reggae as Jimmy Cliff’s “The Harder They Come” marked the true introduction of reggae music to music of the western world, minus a few stray singles in the 60’s that crossed over. Glam Rock was absolutely dominant in the U.K., though much of it didn’t carry over in the U.S. ’72 has some monster albums- namely “Exile On Main Street” by the Rolling Stones (my absolute fave of theirs) and “The Rise and Fall of Ziggy Stardust and the Spiders From Mars” by David Bowie. But the year is incredibly deep as well- take a look at some of the absolute gems that didn’t even make my 20 favorites for the year- Deep Purple “Machine Head”, Yes “Close to the Edge”, Miles Davis “On the Corner”, Neu! “Neu!”, Steely Dan “Can’t Buy a Thrill”, The Grateful Dead “Europe ’72”, Bob Weir “Bob Weir”, War “The World Is A Ghetto”, Captain Beefheart & His Magic Band “Clear Spot”, Stevie Wonder “Music Of the Mind”, Paul Simon “Paul Simon”. In a weaker year most of those albums make it and many are considered undisputed classic of their respective genres. Along with the slew of great full lengths there are a ton of amazing singles as well- many of them coming from the Soul, which experienced one of its greatest years in 1972. Though Glam Rock dominated the scene in the U.K., America was still well in the throes of the singer-songwriter movement. Many of the hippies were growing up and raising families and were embracing more soothing sounds after the turbulence of the sixties. The more sensitive music often also spoke more to women, many of whom were in the midst of declaring independence from increasingly outdated customs and social mores. The biggest artists in the movement, James Taylor, Carole King, Carly Simon & Joni Mitchell seemed, at least on the surface, to be similar but the talent and styles were much more wide ranging. 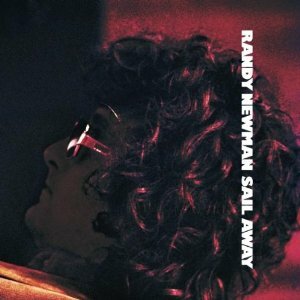 Randy Newman, Nick Drake, Todd Rundgren, Cat Stevens, Jim Croce, J.J. Cale, Van Morrison, Paul Simon, Neil Young & Elton John (along with the previous four) all made outstanding musical contributions in ’72 to varying degrees of commercial success. Drake remained largely undiscovered until well after his early death, Newman under-appreciated until later, Cale much more successful as a writer for others than as a recording star in his own right. But the others all had blockbuster chart hits. Paul Simon’s self-titled debut showed that he could be nearly as big outside of the Simon & Garfunkel team. 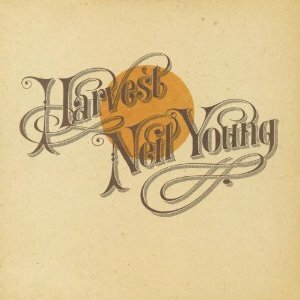 Neil Young took the success of his last two albums to his career’s largest heights with “Harvest”. 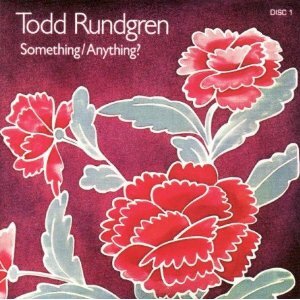 Rundgren wrote, played & recorded nearly everything on his genre hopping double album “Something/Anything”. 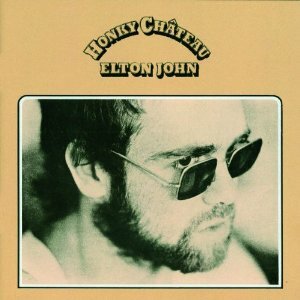 Elton John was in the middle of his best musical and commercial run and released one os his best albums “Honky Chateau” in ’72. He was likely the biggest pop star in the world at the time. 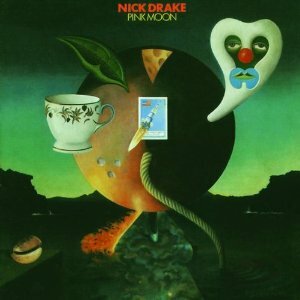 Drake’s third album “Pink Moon” was sadly his last as he would die by suicide before its release. For whatever reason, possibly American homophobia, Glam Rock never really crossed over. 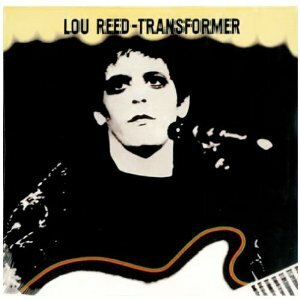 We certainly hear some of its greatest tracks on classic rock radio today such as “All the Young Dudes” by Mott the Hoople, “Rock and Roll Part 2” by Gary Glitter (played at every sports arena near you), “Walk On the Wild Side” by Lou Reed, “Ziggy Stardust” and “Suffragette City” by Bowie and “Get It On” by T. Rex, but very few of others gained any traction and most were only minor hits in the U.S. In England these tracks, among many others, were massive #1 hits and the fey subversiveness captured the public’s imagination. Glitter, Mott & T. Rex were all one hit wonders in the U.S., while each had a run of chart hits in the U.K. Slade & later the Sweet would also go on the big things under the glitter rock banner. 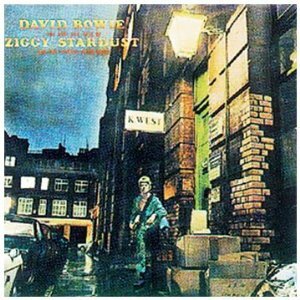 Bowie’s “Ziggy Stardust” album is still the one he’s most known for after a long career and various twists and turns and more than a handful of classics. 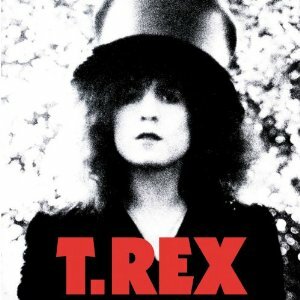 The massively underrated (at least in the U.S.) T. Rex’s “Slider” album along with the previous year’s “Electric Warrior” are their two best. Roxy Music also released their debut album, one of two where genius Brian Eno was still in the band. Likely no coincidence, the group’s first two albums were their most indebted to the glam movement. One of their greatest songs “Virginia Plain” led off the album and announced their presence with authority. Progressive Rock and Heavy Metal were largely U.K. based in the early 70’s as well. In many ways their music was the opposite of Glam- where Glam focused on attitude, style & songwriting and was an obvious precursor to punk, Metal & Prog’s main focus was on stellar musicianship. All three genres could get loud, making them an oasis for heavy rock fans of the sixties who were bored by the music quieter singer-songwriter stuff. It was also much appreciated by teenage boys, full of energy and rebellion and mostly unable to relate to the adult subject matter of the neo-folkies. The biggest of the Metal bands, Led Zeppelin, was between albums but the next two in line, Deep Purple & Black Sabbath released two great ones. 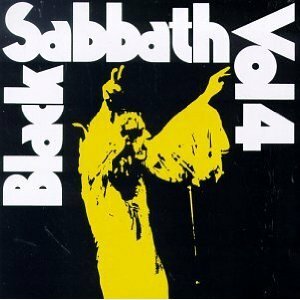 Sabbath’s “Volume 4” was their fourth classic album in a row but perhaps their last. Some of the most popular prog groups at the time were the Moody Blues, who had been around as a garage band since the mid 60’s, switching up their sound to a hybrid of classical music and rock for 1967’s “The Days of Future Passed”. Though they often sound dated today, Emerson, Lake & Palmer were huge in the early 70’s- they took the classical/rock hybrid to an extreme including many elements of heavy rock and metal. Their quiet acoustic ballad “From the Beginning” is still my favorite of theirs. Jethro Tull, which including the flute as one of its most prominent instruments, released their “Thick As a Brick” album made up of just 1 track. 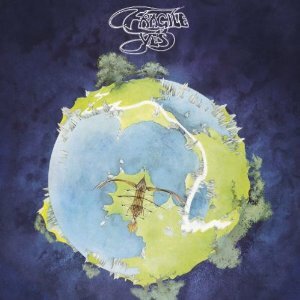 Yes, maybe the most enduring prog groups, released their two finest albums “Fragile” and “Close to the Edge”, the former of which includes classic tracks like “Heart of the Sunrise” & “Roundabout”. Though not specifically under the prog rock banner, German groups like Can & Neu! were also pushing the boundaries of rock music. Both would soon be known as Krautrock, which would become a huge influence on the post-punk of the late 70’s/early 80’s and continue to be a touchstone on music of the indie & outsider music made today- particularly groups often classified as post-rock like Slint & Tortoise. 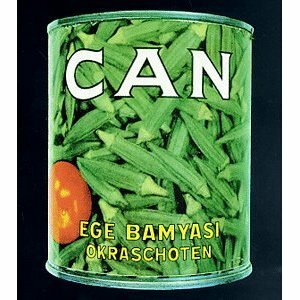 Can’s “Ege Bamyasi” is probably their best full length release and Neu!’s debut is their most well known and beloved. Musical genius Captain Beefheart had been making outsider music in the California desert since the mid 60’s. In ’72 he released perhaps his pair of most accessible records “The Spotlight Kid” and “Clear Spot”. Both had great moments but neither were his best. More accessible or not Beefheart remained too weird for the general public and both releases were commercial failures. Much of what we hear on Classic Rock radio today comes straight from the early 70’s and like the singer-songwriters listed above, the music that is thought of as straight ahead rock casts a very wide net. 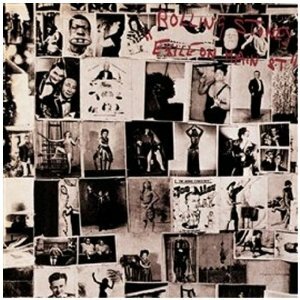 The Rolling Stones “Exile On Main Street” is a murky, drug-addled masterpiece. There are elements of blues, country, weirdo-folk, New Orleans jazz. If it released today it would almost surely fall under the alternative music banner. The Allman Brothers popularized Southern Rock down in Florida combining country, blues & psychedelic rock. Their “Eat a Peach” album in ’72 was their best and most successful release. In San Francisco the Grateful Dead released their double live album “Europe ’72”, which contains a bunch of previously unreleased songs. Though opinion varies greatly among Deadheads, I think it’s their best official live release. The Dead also released solo albums from key members Jerry Garcia, Bob Weir & Micky Hart. Weir & Garcia’s albums introduced future Dead live standards like “Sugaree”, “Playin’ In the Band” & “Cassidy”. Chicago, formerly Chicago Transit Authority, played jazz rock influenced by Blood Sweat & Tears & the Soft Machine and released probably their last good album containing classic hit “Saturday In the Park” before going on to become more of the most cloying groups of the late 70’s-through the late 80’s. L.A. band America was hugely popular in the early 70’s. Many thought them a mere inferior copy of Crosby, Stills & Nash, but they did manage some fine & enduring hits like “Ventura Highway”, “Sandman” and “Horse With No Name”. In a homage back to the great rock n’ roll of the mid 60’s groups like Badfinger, the Raspberries, Big Star & the Flamin’ Groovies all released music that would eventually be known as Power Pop. The music was short & sweet, accessible & rockin’ with an emphasis on harmony & melody. Though Badfinger & the Raspberries did manage several big hits each the music was thought of as out of fashion and remains underheard today but still beloved, mostly by fanboys and rock critics. Big Star, along with the Velvet Underground before them and maybe the Stooges, really helped define cult or alternative music as a genre. 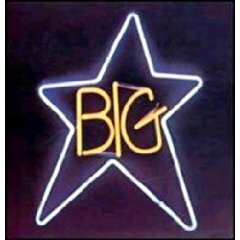 Big Star’s debut “#1 Record” is a wonder that everyone should hear. Soul music in ’72 was in the middle of a massive sea change. After Marvin Gaye had huge success What’s Goin’ On” album in ’72, it gave other similar artists the push to get out from under the thumb of their record labels and start doing their own thing. 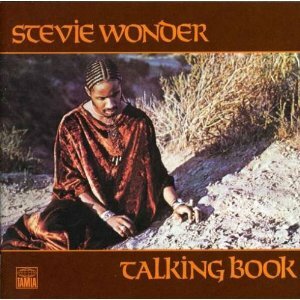 Musical genius Stevie Wonder was the best example- his “Music Of My Mind” and “Talking Book” albums began probably the best five album run in the history of soul music to this day. Motown music was becoming more and more psychedelic and funky. 60’s producers like Holland/Dozier/Holland were losing influence to people like Norman Whitfield. The epic length “Papa Was a Rolling Stone” by the Temptations was a prime example. Speaking of Funk, the Godfather of Soul, who essentially invented Funk, had a number of classic tunes in ’72 as well including “Get On the Good Foot” and “Talkin’ Loud and Sayin’ Nothing”. L.A.’s interracial group War released the stellar “The World Is A Ghetto”. George Clinton’s Funkadelic released the double “America Eats Its Young” and other groups both popular, the Isley Brothers, and one/none/or few hit wonders like the Jimmy Castor Bunch, Cymande & the Chakachas added classic funk tunes to the mix as well. James Brown affiliates Lyn Collins with her classic “Think (About It)” and the JB’s with “Pass the Peas” added to Brown’s legacy as well. Atlantic Soul was thriving as well. Aretha Franklin was nearing the take end of an insanely great run of singles and albums. 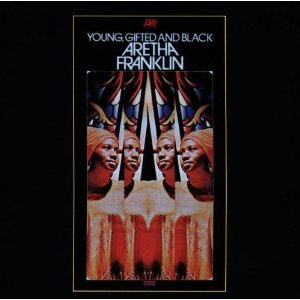 Her 1972 album “Young Gifted and Black” was one of her very best. Roberta Flack re-released an early single “The First Time Ever I Saw Your Face” for the Clint Eastwood movie “Play Misty For Me” and it became a smash, kick starting her career and becoming her signature song. She made a duets album in ’72 with Donny Hathaway which was a huge success. The Philly Soul movement was perhaps the most dominant soul sound of 1972 though. It took elements from funk and added lush instrumental string arrangements and abundant horns, laying the groundwork for both disco and “Quiet Storm” in the middle of the 70’s. The Spinners, the O’Jays & the Stylistics all had some of their biggest and best hits that year and were all among the biggest Philly Soul acts. Chicago’s Chi-Lites & the Staple Singers were a close cousin of the movement and also enjoyed big success that year. 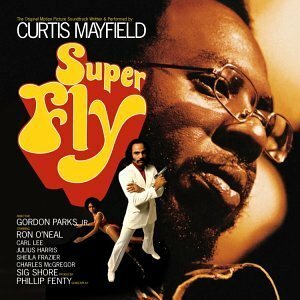 Fellow Chicagoan Curtis Mayfield released his amazing soundtrack to the Blaxploitation movie “Superfly”, which stands as one of 1972’s best albums and THE best soundtrack of the blaxploitation era. 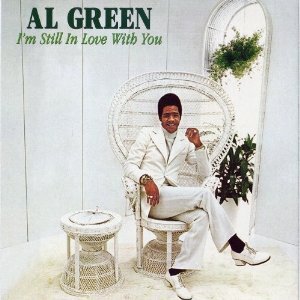 Other soul artists of 1972 include Bill Withers who released his debut “Just Bill” containing two of his biggest hits “Lean On Me” and “Use Me”, and the incomparable Al Green. 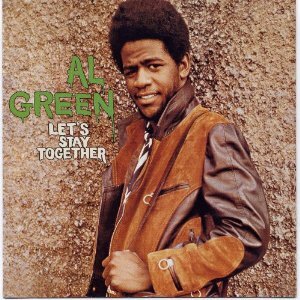 His two ’72 albums “Let’s Stay Together” and “I’m Still In Love With You” are two of his best and include many of his best numbers. On top of all this were other great soul music one off’s by the likes of Timmy Thomas, Billy Paul, Mel & Tim, the Main Ingredient, Otis Clay & the Cornelius Brothers & Sister Rose. None may be household names but each released at least one standout soul cut in ’72. Buy Break Up to Make Up – The Very Best of the Stylistics…And More! Buy Hello It’s Me – Something/Anything? Buy I Saw the Light – Something/Anything? Buy Couldn’t I Just Tell You – Something/Anything? Buy I’m Stone In Love With You – The Very Best of the Stylistics…And More!